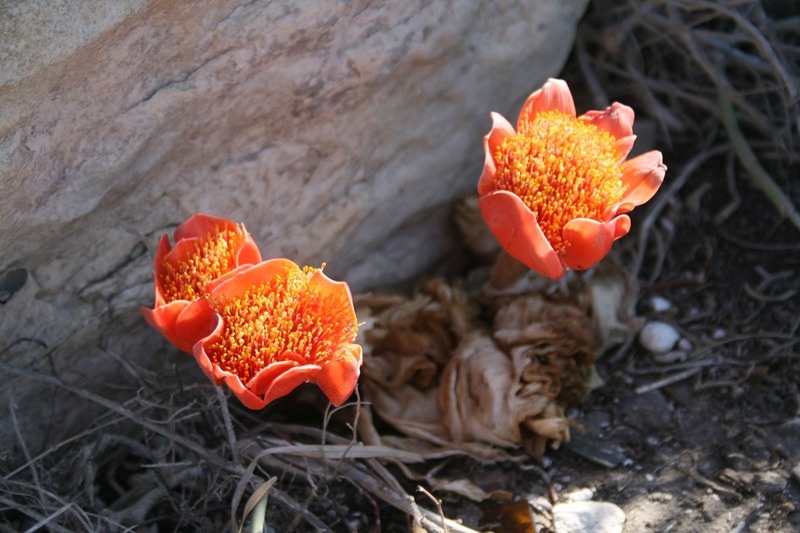 The theme last week was Orange… and I was standing in front of the Southernmost flower in the whole continent of Africa… at Cape Agulhas, South Africa. Where Ewan and Charlie ended their Long Way Down bike ride. Where the Indian and Atlantic oceans meet. 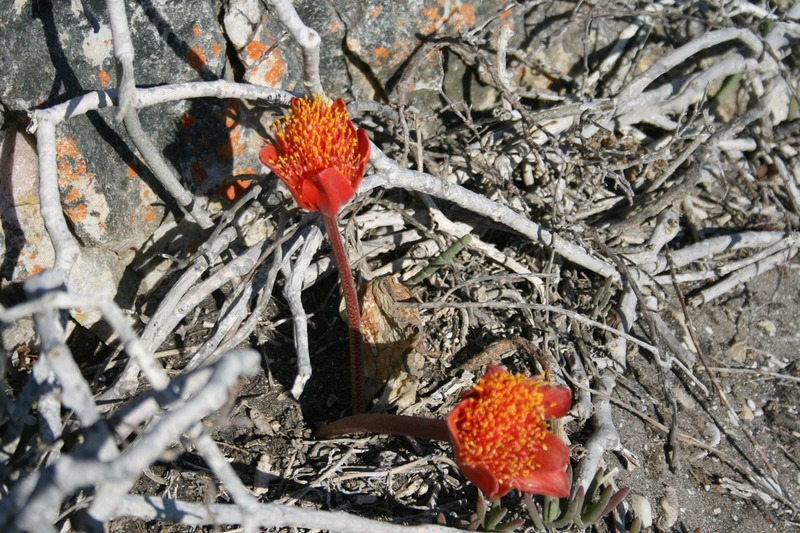 This entry was tagged Cape Agulhas, Flora, Photography, South Africa, Travel, Two Oceans. Bookmark the permalink. Beautiful! I love the way it seems to be growing out of what looks like a load of deadness.